"The Common Linnets" is a special project formed for Eurovision participation and unique concert "Tuckerville" in the De Grolsch Veste in Enschede on June 21, 2014. It is duo of singers Ilse DeLange and Waylon. Ilse Annoeska de Lange was born on May 13, 1977 in Almelo, Netherlands. She started her career at the age of 8 as a lip-synching artist but gained bigger attention after switching to a live repertoire taking part in several talent shows and appearing on the national television. Later, she formed a duo with guitarist Joop Liefland, who introduced her to country music. In 1994 Ilse performed at the Dutch Country Music Awards. It took several years of negotiations before Warner Music decided to offer Ilse a contract. In 1996 DeLange joined the popgroup "Wij" releasing the single "De Oorlog Meegemaakt" ("Experienced The War"). In 1998 as a member of the group "Cash On Delivery", she traveled to Nashville, USA to record her debut album "World Of Hurt" with producer Barry Beckett. The album received big success in her home country, selling 450,000 and bringing Ilse TMF Award and Edison Award. In 1999 Ilse released a live album "Dear John" where she covered songs by singer/songwriter John Hiatt. The album went platinum in the Netherlands (with sales of 80,000 copies). November 2000 saw the release of her 2nd studio album "Livin' on Love" which was repcorded in pop/rock stle, and it also went platinum. In 2001 DeLange started "Livin' on Love Tour", performing in many theaters and concert halls throughout her home country. She won an Edison Award for best Dutch artist in 2000. In March 2002 DeLange and her partner Bart Vergoossen went to America for 9 months to work on a new album in which she took songwriting credit. "Clean Up", her third album was released in April 2003, followed by compilation "Here I Am - 1998/2003". In the end of 2005, after successful tour, she began working with producer Patrick Leonard on a new album, signing a new contract with Universal Music. Her fourth studio album "The Great Escape", was released on June 16, 2006. It went gold only a week after its release and platinum two months later. In October 2007 she released a live album, simply called Live. In 2008 Ilse stated she was writing and recording a new album in Swedish city Gothenburg. The album "Incredible" was released at October 17, 2008 and went platinum in less than a month. Single "Miracle", title track for movie "Bride Flight" reached the top spot of the Dutch Top 40 chart. Her first EP "Next To Me", was released at August 27, 2010 and has been certified 2x Platinum. In November 2011 started working on a new album "DoLuv2LuvU" releasing same titled single, but had to shelf it due to death of her father. Her seventh album "Eye Of The Hurricane", was released September 14, 2012. 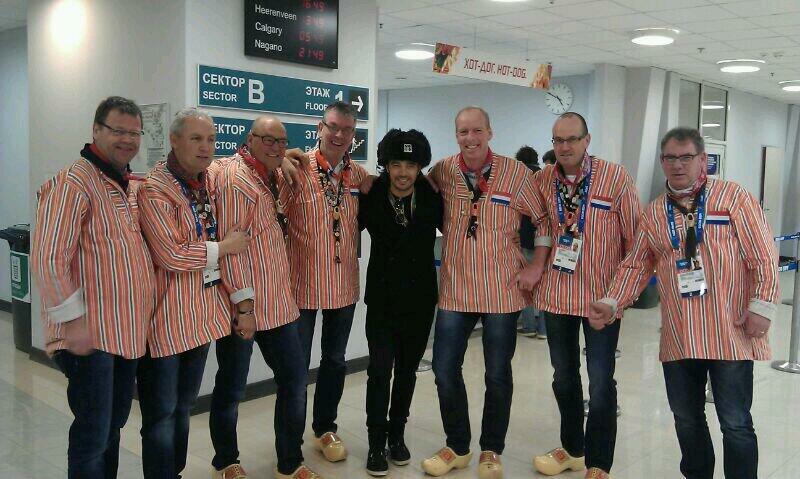 In 2013 she became a coach on The Voice of Holland. In February 2014 she won the award 100%NL Artist of the Year. Waylon (real name Willem Bijkerk) was born on April 20, 1980, in Apeldoorn. His stage name came from the name of his idol Waylon Jennings. From childhood he was inspired by country music and played drums in the band "West Virginian Railroad". He was signed in 1997 by EMI and went to Nashville to record an album, which, however, was not released. In 2001 he lived and worked for a year in the United States, where he also performed in the show of his idol Waylon Jennings. However, after Jennings died Bijkerk returned to the Netherlands. He married at a young age, in 2002 became father of a son and then divorced after three years of marriage. After return from America he continued his career with cover band "Santa Rosa" and another band "Millstreet". He took part in 2005 in duet with Rachel Kramer part in Dutch preselection for Eurovision Song Contest with the song "Leven als een beest", finishing 4th in their semifinal. In 2008 he took part in "Holland's Got Talent" show where he finished in second place and it brought him long sought breakthrough. His debut album "Wicked Ways" was released on August 28, 2009 and it reached top 10 of Dutch Top 40 chart. In April 2010 he won the 3FM Award for "Best Newcomer" and on June 26, 2010 he won the TMF Borsato Award. His second album "After All" was released on November 3, 2011 and on April 12, 2012 he won the 3FM Award for "Best Singer". Because of Eurovision, his 2nd album was delayed till September. Ilse said: "Waylon and I have known each other since we made 'rootsy' music together as teenagers. This year we are working on an album in Nashville as a 'side project'. The Eurovision Song Contest was something we both individually considered but this joint venture is so awesome that we've decided to go it as a duo. I cannot wait for us to stand on the stage! As a child, watching the Eurovision Song Contest was a tradition in our family and I feel so honoured!" Waylon said: "I am honoured to be embarking on this adventure with Ilse, who I have known for so long. The Eurovision Song Contest is one of the biggest events in the world and to stand there on its stage has always secretly been a dream of mine". At the age of seventeen JB Meijers signed a record deal with Virgin records. In these early years he strongly profiled himself as an extremely talented and hardworking musician who was involved in various influential alternative pop bands (Charmin’ Children, Shine, Supersub), extensively toured with Eboman and at the same time he was producing and writing songs. When in the late ‘90s his work as a producer was growing out of proportion JB decided to fully focus on his studio work. Only a year later he was asked to join two of the most successful Dutch bands - De Dijk and Acda & De Munnik - first just on stage but since 2000 JB is a solid touring and studio craft for both platinum selling acts. Over the years JB has produced albums for some of the most import Dutch artists (Ramses Shaffy, Eboman, Souldiers, Go Back To The Zoo and Frank Boeijen), but also worked with international artists like Solomon Burke, Marc Ribot, Beastie Boys, Antony + Johnsons and many more. JB Meijers was honored with every possible award in the Dutch music business and Music Magazine Oor proclaimed him second best musician in The Netherlands. Rob Crosby began his music career in his home state of South Carolina, playing clubs and colleges, and building a regional following. After moving to Nashville he achieved national success by writing a #1 hit for Lee Greenwood, Holding a Good Hand. Shortly thereafter Rob was signed by Arista Records as a recording artist. Rob scored three top ten hits and toured with Travis Tritt, Reba McEntire, Brooks and Dunn, Billy Ray Cyrus and performed shows across America, Europe, and Canada with Willie Nelson, George Jones, Restless Heart, Garth Brooks, and Dutch artist Ilse DeLange. Brooks and Dunn, Lady Antebellum, Trace Adkins, Blackhawk, The Oak Ridge Boys, Carl Perkins and Paul Simon, Jeroen van der Boom, Ilse DeLange, Waylon, The Common Linnets and others have recorded over 50 of his songs. Rob and Ilse have been working together of and on since they wrote ‘When We Don’t Talk’ for Ilse’s debut album in 1998. Matthew Crosby grew up in Nashville and attended college in Charleston, South Carolina, where he formed his first band, and began playing his songs in local clubs. After graduating he moved to New York City, and was soon performing regularly around Manhattan and Brooklyn at such venues as Joe's Pub and Rockwood Music Hall. His band Easy Tells released their first record in 2012, and in 2013 he signed with Universal Music Publishing in Holland. 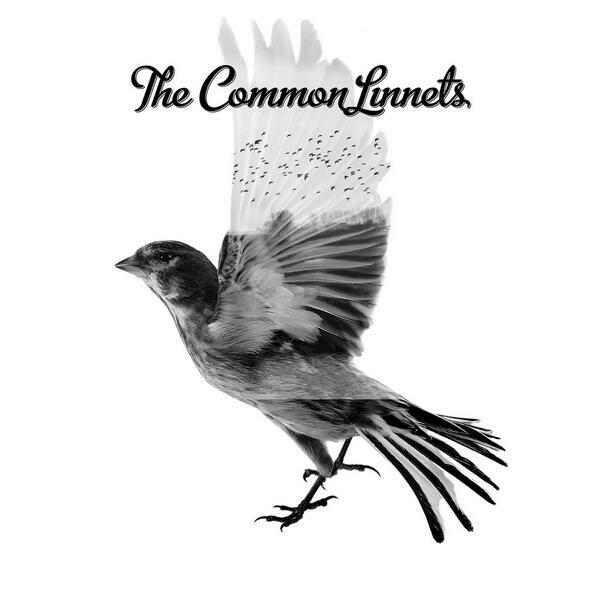 His songs have recently been recorded by The Common Linnets. Jake Etheridge began performing in his hometown of Columbia, South Carolina where he achieved local recognition for his songwriting and performing. Moving to Nashville in 2011, he began to perform in well-known Nashville music rooms, including the storied Bluebird Cafe, and expanded his touring to cities such as Atlanta, Georgia, Philadelphia, Pennsylvania, Boston and New York City. Obsessive about seeking out truth, Jake's songs explore the depths of his own heart, and unabashedly display an honest window into his motivations, victories and even self-inflicted pitfalls. His songs have been featured in films, and recorded by the The Common Linnets in The Netherlands. 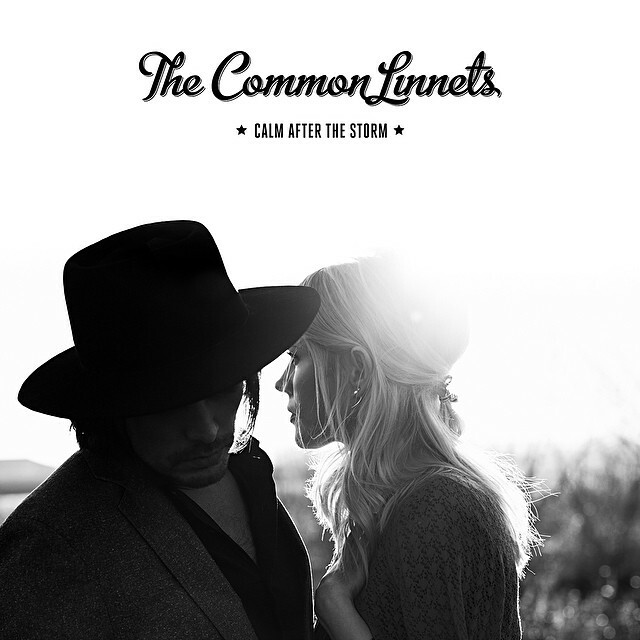 On Wednesday, April 16th at 20.25 Nederland 3 will broadcast a special documentary 'The Common Linnets - Calm Before The Storm'. Filmmaker Marcel de Vré (known for several music documetaries, including the ones about Golden Earring and Nits) will provide the inside look into the creative process of successful singers/songwriters. This nearly 2 hour long documentary will contain a lot of music and also footage of trips of the duet to work on the album to Ardenne (Belgium) and Nashville (USA), as well as Hilversum. Significant part of the program will be devoted to preparations of the duet for the Eurovision Song Contest, starting from the decision about their selection and up to the selection of "Calm After The Storm" as their entry. You can watch the documentary here. ESCKAZ.com had privelege to record a video interview with The Common Linnets during the Eurovision In Concert event in Amsterdam. "It won't be fireworks, elefants and dancers, it will be all about the song and the emotions", stated members of the duo about their performance in Copenhagen. Ilse has named Carl Espen as her personal favorite entry this year. At the interview band has performed a full version of their entry "Calm After The Storm". 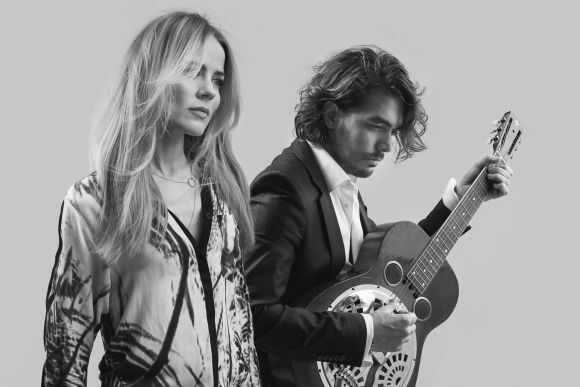 The duo Waylon and Ilse DeLange will by the end of this week determine which song from the number they have already recorded, is most suitable for their performance at the Eurovision Song Contest in Copenhagen. "A couple of songs have our preference, we will sit down together at the end of this week," says singer Waylon in the interview to NU.nl during the Olympic Games in Sochi, where he performed at the Holland Heineken House. "Then with a glass of wine I think, we will listen to the songs and will decide what is good for the contest". The chosen entry isn't likely to be released immediately, because several things need to be done organization-wise for the contest. "I think it will take a little bit longer, but at the end of this week we will decide: this is our song". Both artists aren't keen on doing a public preselection of the entry. "We have decided that we are going to make a choice ourselves. Maybe we will get a third person to pick up if we are stuck between two songs, but I think we will not need that". The singer has announced the release of his album "Heaven After Midnight" is postponed from March until September because of the preparations for the Eurovision. "We said 'yes' and when you say A, you must say B. That includes all obligations surrounding the festival. My album needs more attention than the contest. Otherwise, it would come in time pressure, because there are too many appointments done around the contest". While Waylon is in Sochi, Ilse DeLange is currently in London recording songs with Sasha Skarbek (co-writer of Engelbert Humperdinck's entry) and JB Meijers. Speaking to Omroep Brabant she said that the Eurovision song "must be restrained, emotional and I will prefer if it's two voices from beginning to end. If we do a ballad, then it should not be an over dramatic one". AVROTROS, a new Dutch broadcaster created from the merge of TROS (responsible for Eurovision Song Contest since 2010) with AVRO (responsible for Junior Eurovision since 2003), announced at the special press-conference on November 25, 2013 at the Wisseloord Studios in Hilversum, that The Netherlands will be represented at Eurovision Song Contest 2014 by internally selected duo "The Common Linnets". Ilse Delange and Waylon have known each other since their teens and both have spent some time in Nashville to record an album with country-influenced songs. At the moment of press-conference the song for Copenhagen was yet unknown. characterized Waloon plans for the composition. Their country / bluegrass number is expected to be presented in March. On January 24 Ilse DeLange revealed that they have already written 28 songs (13 since they were announced as Eurovision representatives) in various of styles. However, the preference of Ilse is to have a slower song, and for their performance have all the lights off in the venue with only bright spot on stage, with old microphones, old guitars around necks.... She has also added that if the do good choice of song, deliver emotions on stage and do everything the way she wants it, she will be satisfied, disregarding any result. It was confirmed that the duet has chosen the song for the contest on February 23. On March 4 it was announced that songtitle of chosen entry will be "Calm After The Storm". It will be presented on De Wereld Draait Door on VARA/Nederland 1 on March 12 in acoustic version, and on March 13 on Radio 2 show De Gouden Uren in studio version. CD single will be released on March 14, album of the duet will come out on May 9. "The Common Linnets" это специальный проект, сформированный для участия в конкурсе Евровидение и уникального концерта "Tuckerville", который пройдет в De Grolsch Veste в Энсхеде 21го июня 2014 года. В его состав вошли два исполнителя: Илзе ДеЛанж и Вэйлон. Илзе Аннушка де Ланж родилась 13 мая 1977 года в Алмело, Нидерланды. Свою картеру она начала в возрасте 8 лет выступая под фонограмму, но привлекла к себе внимание после перехода на живые выступления и участия в нескольких шоу для молодых талантов и выступлений по телевидению. Позднее она сформировала дуэт с гитаристом Йопом Лифландом, который познакомил ее с музыкой кантри. В 1994 году Илзе выступила на Голландской Музыкальной Премии Кантри. Прошло несколько лет переговоров, пока певице удалось заключить контракт с лейблом Warner Music. В 1996 году ДеЛанж присоединилась к попгруппе "Wij", выпустив с ней сингл "De Oorlog Meegemaakt". В 1998 году в составе группы "Cash On Delivery" она отправилась в Нашвилл, США, для записи своего дебютного альбома "World Of Hurt" с продюсером Барри Беккеттом. Альбом получил большой успех в ее родной стране, будучи проданным тиражом в 450 тысяч экземпляров, и принес Илзе премии TMF и Edison. В 1999 году певица выпустила концертный альбом "Dear John", в котором перепела песни автора и исполнителя Джона Хайатта. Альбом достиг статуса платинового в Нидерландах (продажи в 80 тысяч копий). В ноябре 2002 года выходит ее второй альбом - "Livin' on Love", который был записан в стиле поп/рок, и он тоже становится платиновым. В 2001 году Илзе отправляется в турне "Livin' on Love Tour", выступая во многих театрах и концертных залах по всей стране. Она завоевывает премию Edison лучшей голландской певице 2000 года. В марте 2002 ДеЛанж и ее партнер Барт Вергуссен отправляются в США на 9 месяцев для работы над новым альбомом, в котором Илзе выступает также и в роли автора. "Clean Up", третий альбом певицы, был выпущен в апреле 2003 года, за ним последовал сборник "Here I Am - 1998/2003". В конце 2005, после успешного концертного тура, она начинает работать с продюсером Патриком Леонардом над новым альбомом, подписав контракт с Universal Music. Четвертый студийный альбом "The Great Escape" вышел в продажу 16 июня 2006 года. Он достиг статуса золотого спустя всего неделю продаж и платинового два месяца спустя. В октябре 2007 года ДеЛанж выпускает концертный альбом, названный просто "Live". В 2008 году Илзе заявляет о том, что приступила к написанию и записи в Гетеборге, Швеция, нового альбома. "Incredible" вышел в свет 17 октября и стал платиновым менее, чем за месяц. Сингл "Miracle" с него, заглавная песня к кинофильму "Bride Flight" возглавил голландский Top 40 чарт. Первый EP певицы "Next To Me" был выпущен 27 августа 2010 года и достиг статуса дважды платинового. В ноябре 2011 года ДеЛанж начинает работу над новым альбомом "DoLuv2LuvU", выпустив одноименный сингл, но в итоге откладывает проект на полку из-за смерти своего отца. Седьмой альбом певицы "Eye Of The Hurricane", вышел в свет 14 сентября 2012 года. В 2013 году Илзе ДеЛанж становится членом жюри на проекте The Voice of Holland. В феврале 2014 года она завоевала премию 100%NL Артист года. Waylon (настоящее имя Виллем Бийкерк) родился 20 апреля 1980 года в Апелдорне. Свое сценическое имя он взял в честь своего кумира Вэйлона Дженнингса. С детства его вдохновляла музыка в стиле кантри и он играл на ударных в группе "West Virginian Railroad". В 1997 году ему удалось подписать контракт с лейблом EMI и он отправился в Нашвилл, чтобы записать альбом, который правда так и не был выпущен. В 2001 году в течении года он проживал в США, где также выступал в шоу Вэйлона Дженнингса. После смерти последнего Бийкерк возвращается в Нидерланды. В раннем возрасте он женился, в 2002 году у него родился сын, и после трех лет брака певец развелся со своей супругой. После возвращений из Америки Виллем продолжил свою карьеру в кавер группе "Santa Rosa" и еще одном коллективе "Millstreet". Он принимает участие в 2005 году в национальном отборе Нидерландов на Евровидение в дуэте с Рэчел Крамер с композицией "Leven als een beest", которая в итоге заняла 4е место в своем полуфинале. В 2008 году он принимает участие в шоу "Holland's Got Talent", где занимает второе место, и это приносит ему долгожданный прорыв. Дебютный альбом исполнителя "Wicked Ways" выходит в свет 28 августа 2009 года и достигает 10й строчки в голландском чарте Top 40. В апреле 2010 года он завоевывает премию 3FM как "Лучший новичок" и 26 июня 2010 становится обладателем TMF Borsato Award. Второй альбом Вэйлона "After All" поступил в продажу 3го ноября 2011 года и 12 апреля 2012 певцу вручается премия 3FM как "Лучшему исполнителю". Из-за участия в Евровидении выпуск его второго альбома был отложен до сентября. Илзе говорит: "Вэйлон и я знаем друг друга еще с того момента, как мы вместе создавали 'rootsy' музыку еще подростками. В этом году мы работаем в Нэшвилле над альбомом в качестве нашего "сайд-проекта". Конкурс Евровидение всегда был чем-то, об участии в чем мы задумывали по-одиночке, но сделать это вместе еще более круто, и поэтому мы решили выступить на нем в дуэте. Я с нетерпением жду того момента, когда мы выйдем на сцену! В детстве, просмотр конкурса Евровидение был нашей семейной традицией, и участие в нем для меня это большая честь!" Вэйлон говорит: "Я польщен тому, что мы принимаем участие в Евровидении вметсе с Илзе, которую я уже давно знаю. Конкурс Евровидение - это одно из крупнейших музыкальных мероприятий мира, и выступить на его сцене всегда было моей тайной мечтой". В среду, 16 апреля, в 20:25 местного времени телеканал Nederland 3 покажет документальный фильм 'The Common Linnets - Calm Before The Storm'. Режиссер Марсель де Вре (известный своими документальными фильмами о таких артистах, как Golden Earring и Nits) проведет зрителей за кулисы творческого дуэта успешных исполнителей и авторов песен. Почти двухчасовой документальный фильм будет включать себя большое количество музыки, а также съемки зарубежных поездок Илзе и Вайлона для записи альбома - в Арденн (Бельгия) и Нэшвилл (США). Значительная часть фильма будет уделена подготовке дуэта к Евровидению, начиная от их выбора в качестве представителей Нидерландов, и заканчивая выбором "Calm After The Storm" в качестве конкурсной песни. Увидеть документальный фильм можно здесь. ESCKAZ.com записал видео интервью с участниками группы The Common Linnets во время Eurovision In Concert в Амстердаме. "Мы точно знаем, что не будет феерверков, слонов и танцоров на сцене, все будет сконцентрировано на песне и эмоциях", заявили участники дуэта о своем выступлении в Копенгагене. Илзе также назвала представителя Норвегиии Карла Эспена своим фаворитом в конкурсе этого года. На интервью группа также исполнила полную версию своей конкурсной песни "Calm After the Storm". Дуэт Вэйлон и Илзе ДеЛанж к концу этой недели определятся, какая песня из большого числа ими записанных, лучше всего подходит для исполнения на конкурсе Евровидение в Копенгагене. "Пока мы предпочитаем несколько песен, в конце недели мы сядем вместе и будем думать," говорит певец в интервью NU.nl, которое он дал на Олимпиаде в Сочи, где он выступал в качестве гостя в Holland Heineken House. "И тогда с бокалом вина, я думаю, мы послушаем еще раз песни, и решим, какая из них лучше всего для конкурса". Выбранная композиция, скорее всего, не будет презентована немедленно, потому что предстоят еще несколько организационных моментов. "Я думаю, что желающим ее услышать придется еще немного подождать, но к концу этой недели мы уже сможем сказать: вот это наша песня". Оба артиста не поддержали идею проведения открытого отбора песни. "Мы решили, что сможем сделать выбор самостоятельно. Возможно, мы позовем кого-то третьего, если мы не сможем решить между двумя песнями, но я думаю, что это нам не понадобится"..
Певец недавно объявил о том, что выпуск его альбома "Heaven After Midnight" перенесен с марта на сентябрь из-за подготовки к Евровидению. "Мы сказали "да", а когда ты говоришь А, то надо говорить и Б. Это включает в себя все обязательства, связанные с участием в конкурсе. Мой альбом требует к себе большего внимания, чем конкурс. А так, пришлось бы его выпускать в большой спешке, потому что в связи с конкурсом у нас есть множество других договоренностей". В то время как Вэйлон поет в Сочи, Илзе ДеЛанж находится в Лондоне и записывает песни с Сашей Скарбеком (со-автором песни Энгельберта Хампердинка) и Джей Би Майерсом. В интервью Omroep Brabant она сказала, что конкурсная песня должна быть "сдержанной, эмоциональной и я хотела бы, чтобы в ней звучали два голоса от самого начала и до конца. Если это будет баллада, то она не должна быть черезчур драматичной". AVROTROS, новый голландский вещатель, созданный путем объединения телекомпаний TROS (отвечающей за участие в Евровидении, начиная с 2010 года) с AVRO (отвечающей за Детское Евровидение, начиная с 2003 года), объявил на специальной пресс-конференции 25 ноября 2013 года в Wisseloord Studios в Хилверсуме, что Нидерланды на Евровидении 2014 представит выбранный внутренним отбором дуэт "The Common Linnets". Илзе ДеЛанж и Вэйлон знают друг друга с подросткового возраста и оба провели некоторое время в Нашвилле, США, где записывали альбомы с кантри песнями. На момент пресс-конференции их песня для Копенгагена еще не была выбрана. охарактеризовал Вэйлон планы на будующую композицию. Песня, которая как ожидается будет записана в стиле кантри/блюграсс, будет представлена общественности в марте. 24го января Илзе ДеЛанж рассказала, что они написали уже 28 песен вместе с Вайлоном (13 с того момента, как они были объявлены представителями на Евровидении) в различных стилях. Однако, ее приоритетом являются медленные песни, и она хотела бы, чтобы на время их выступления свет в зале был бы полностью потушен, и лишь на сцене оставался один яркий круг, где будут они - со старыми микрофонами и старыми гитарами на шее. Также Илзе добавила, что если будет довольна своей песней, они смогут показать на сцене свои эмоции, и сделать все так, как она планирует - то будет довольна вне зависимости от результата. Отобранная песня будет представлена в конце февраля - начале марта. 23 февраля было объявлено то, что дуэт наконец-то определился со своей песней для конкурса. 4го марта было объявлено, что название выбранной песни - "Calm After The Storm". Она будет впервые представлена на шоу De Wereld Draait Door канала VARA/Nederland 1 12го марта в акустической версии, а затем, на следующий день, на шоу Radio 2 De Gouden Uren в студийной версии. Сингл на песню выйдет 14го марта, альбом дуэта выйдет 9 мая. So what's the use to cry?